We have all been there. 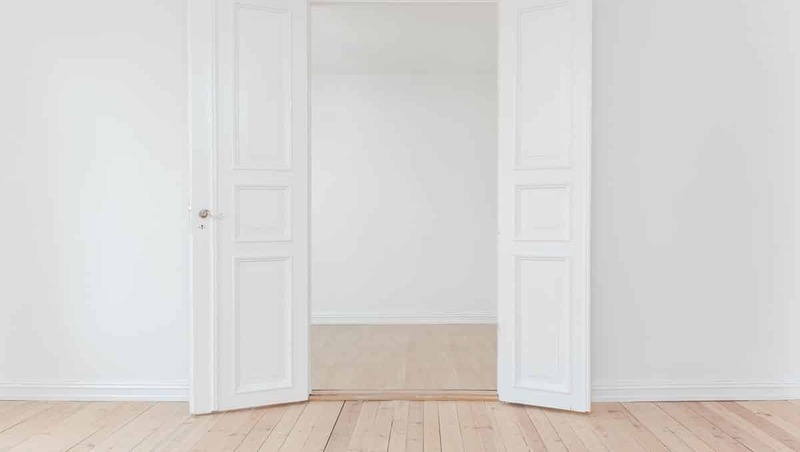 Whether you have recently moved-in, newly renovated your place or are simply tired of your old interior, it sometimes is time to start fresh. Starting fresh with empty walls makes it not exactly easy to know where to start. 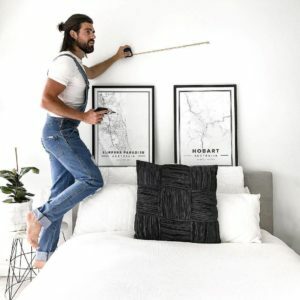 We therefore decided to create a guide and have brought in help from a real expert explaining how to think and where to start when it comes to decorating your walls at home. 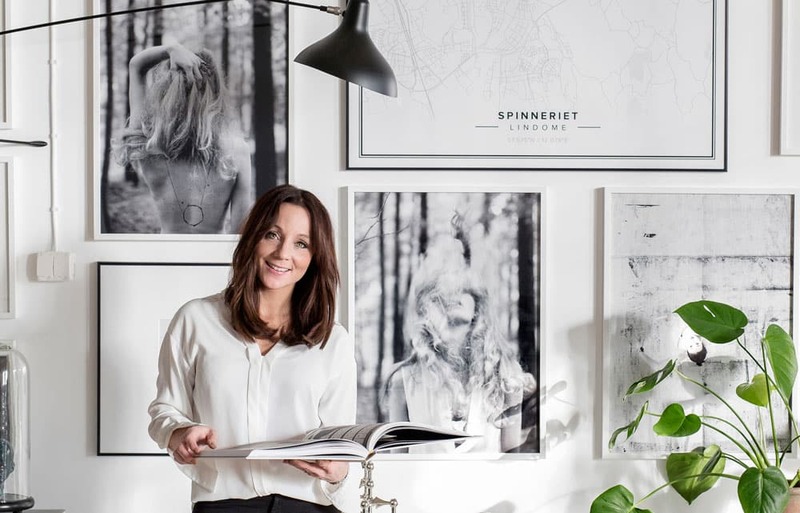 Frida Ramstedt is a renowned Swedish interior blogger who helps us answering questions and giving advice on how to think when styling your art and what you need to consider when starting with a clean slate. What advice would you give a first time buyer of a house/apartment when it comes to decorating? To take the time of thinking things through before getting started. Also make sure that your home is completely done before diving into the details. Do as the chefs do and start with having a complete recipe before buying the groceries. What do you feel is the number one mistake people make when decorating their homes? That they don’t put their artwork up on the walls. I have seen a large amount of homes where the walls are empty, even years after having moved in. Put something up on your walls and get going – that’s my best advice! Honestly speaking, I also think there’s an inflation of certain motifs that are seen everywhere, especially when browsing housing sites. There’s no fun in having the exact same print or art as everyone else – it’s very impersonal. That’s why I enjoy services like Mapiful.com for example, where you can follow the trend with map posters while also adding your own personal touch and meaning to it. Such as to tell a story connected to the places and people living there. Another advice is to add a larger version of your own photos in black and white next to your map creating an art wall. You could also mix in something unexpected with your Mapiful such as a movie ticket or a nice looking restaurant menu or something else you’ve collected with personal value. What should I think about before decorating? Purchase all the ingredients you need before you start to cook (hammering the nail into the wall). But of course, reality isn’t always like that. Most of the time you’re not going to find what you’re looking for right away and sometimes you need to save in order to afford the thing you desire. But then again, no one should want to live with empty walls in waiting for something better. My advice is to hang whatever you have laying around and let the the rest evolve naturally. And don’t worry about making unnecessary holes in your wall. A tiny hole is easily mended and beats not having anything at all. It’s always easier to purchase all the ingredients before starting to cook (hammering the nail into the wall). But reality isn’t like that. Most of the time you don’t find what you’e looking for right away and sometimes you need to save to be able to afford that thing you do desire. My advice is to hang whatever you have and let the rest grow. A hole in the wall can be mended, but having a print up is better that having nothing at all. Which place would you like to have as a poster? Should I base my decor around my prints and posters or do you think they should play a secondary role to the rest of the decor? That depends on your circumstances. If you have a favourite artwork then maybe that should set the tone, but if you instead have other pieces that you love even more then the artwork should act as a complement in the background. Hang what you have – it’s better than nothing at all. What should I think about if I want to combine different sizes/themes of posters? Symmetry, asymmetric and so on. My best advice is to measure how much space you have to work with for the print wall that you’re creating. For example, how big is the surface behind your sofa or bed and would a poster wall fit there. Covering 2/3 of the furniture in front is usually a good mark. Depending on how the outer measurements are it will be easier to figure out what frames and formats you can work with to create a puzzle that forms a beautiful unity. I also tend to place all the art I want on the floor before I start hammering nails into the wall. Place the frames on the floor and test what looks good before you start placing. There’s no one way to build your print wall. You could either work repetitively building and repeating the same frames / same outer measurements in an even flow. Or you can create an irregular pattern where the outer measurements and lines are the bearing point. If you’re going for the latter option it’s usually nicer to use at least 3 different outer measurements for frames. That is one bigger, one smaller and one in-between. That way you’re creating harmony and a bridge between the largest and smallest frame. 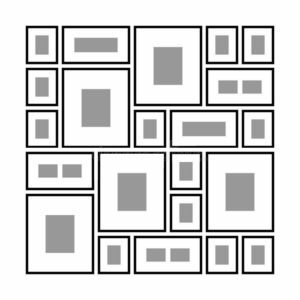 Remember that you can also twist and turn the frames so that not all of them are facing the same direction.